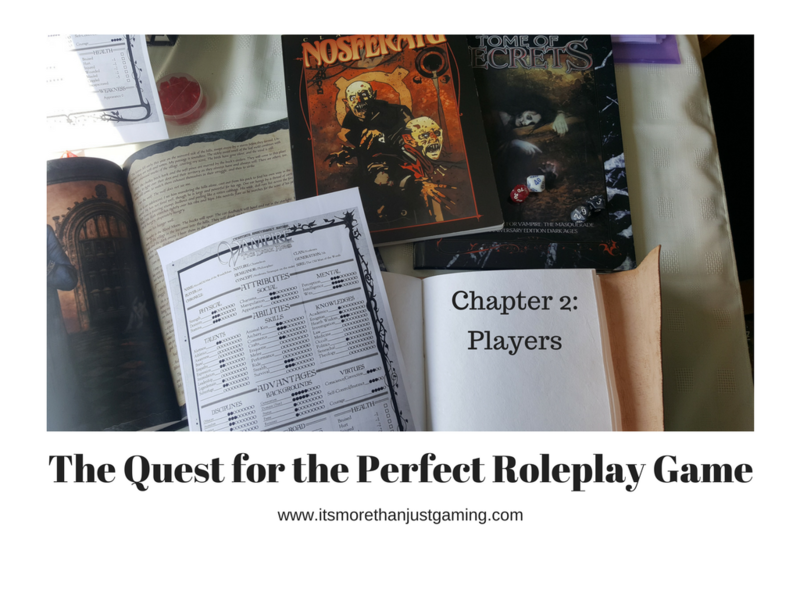 Hello again, and welcome to the second post in my “Quest for a perfect roleplay game” series. Today, I am looking at the most vital of all the components in any game, roleplay or otherwise. I am going to look at the players. And by players, I include the Games Master in that description. When speaking to my roleplay friends, one comment I received was, “Pick your friends carefully”. I changed this to “Pick your players carefully”. Generally speaking, players will be friends, but that has not always been, nor will it always be the case. If you are a member of a game’s club, you may join a game with people in it you don’t know. This is fine, but should be approached cautiously. Because the one thing that can break any game, be it roleplay, board game, war game is a clash between players. First and foremost, players sometimes have different reasons for playing games. Some people are happy going with the flow, rolling dice when they are required and just enjoying being along for the ride. Some people want to immerse themselves in the story and take their character deep into the plot to find out what is at the end. And some folks are interested less in the story than they are in what loot they get at the end of a dungeon, and how close they are to the next level. And some people want to be the centre of attention, want to be the story. The final example listed can be incredibly toxic to a game. I haven’t encountered a person yet who plays roleplay games so they can be an extra in someone else’s adventure. That kind of play should be discouraged if there is a troupe of players. The other examples are all perfectly normal and reasonable motivations for playing. And therein lies the problem, because they are different. And clashing play styles can cause friction in the players. Imagine if, in the Image Silverbolt, Grand Moff Trakin, Scotty (the tartan dog, who is probably older than many folk reading this), Ron the Seal, Steve the Bantha and Sky Lynx all want to play Vampire the Dark Ages, whilst Sky Dive wants to play Dungeons and Dragons. This isn’t a problem. A skilled Games Master like Scotty can accommodate Sky Dive’s desire for fantasy into the Horror setting. However, if Sky Dive wants to play Dungeons and Dragons so he can achieve super high level and get all the loot, whereas the other players are looking for a more in depth story where characters develop emotionally rather than up a skill tree, then perhaps this isn’t the right game for him. If he forced himself to play, chances are he would look for ways to achieve his play objectives, of loot and power. Which might cause upset if the other players are slowly playing an intrigue and politics game. And this relationship between players, looking for a similar type of game extends to include the Games Master. In every roleplay game, someone must be the Games Master. So, it is important that the players trust and respect the Games Master as much as the GM trusts and respects the players. And having the same motivation for playing helps here. If the game is a story driven game with puzzles, roleplay and a mystery or soemthing like that to solve, then the players need to trust that the Games Master is not going to kill them arbitrarily, or become hung up on rules over fun. And the Games Master needs to trust that the players are not going to try and break the game. If it is more adventure based, with high levels of dungeoneering, monsters and traps, the players need to trust that there is always a solution if they just look for it, whilst the Games Master needs to trust that players will not cry foul when their character dies in a perfectly reasonable way within the story. (I realise the second example is a bit weaker). There is a relationship between player and Games Master that must be respected. The Games Master has donated time to create an adventure to play in. They have probably bothered to learn the rules and have likely created non-player characters to interact with to make the story more interesting. Their rulings must be respected and adhered to. That isn’t to say you cannot appeal. Absolutely, if a Games Master makes a call that you disagree with, it is reasonable to appeal. However, do so reasonably as an adult. State your case, back it up with facts. I have overturned various rulings when players do this. Games Masters are not infallible. As GM, the decision is ultimately yours when arbitrating a dispute. That is fair. Up to a point. Remember the purpose of play is to have fun. So, treat the players with fairness. So, if you are making a ruling, make sure it is for legitimate reasons. Be fair, and be consistent. Do that, and players will learn to trust you and will play the game knowing that they have a fair shot at completion. I may hear some dissenting opinions for my next statement. The purpose of the Games Master is not to beat the players. The purpose of a GM is to frame a story that the players can participate in, and if there is a challenge, then it should be a challenge within their capability to overcome. That is not to say player characters should be invincible, rather what I am getting at is that character death shouldn’t happen at random, or because the Games Master simply wants to send an army against them like poor Tarkin’s wizard. Encounters should be survivable for the players. They don’t need to be easy, or even winnable, but the moment a Games Master decides that they are going to arbitrarily kill a character is the time they should rethink their style. I would be cautious about using the unwinnable scenario unless it is crucial to plot. In conclusion, the Games Master needs to pick their players based on style of play, and the players need to pick a GM they trust. Achieve both of these and your game should run smoothly. Everything else is negotiable. Great post, and it pretty much is true for every type of game you play as you say. Loved the pictures that were included with this post by the way 😊 I have been always been a player that plays games because they are fun, not because I want to win them. Even if I lose I can still have a great time if the game itself is fun, or if the group of players that I am with are great.